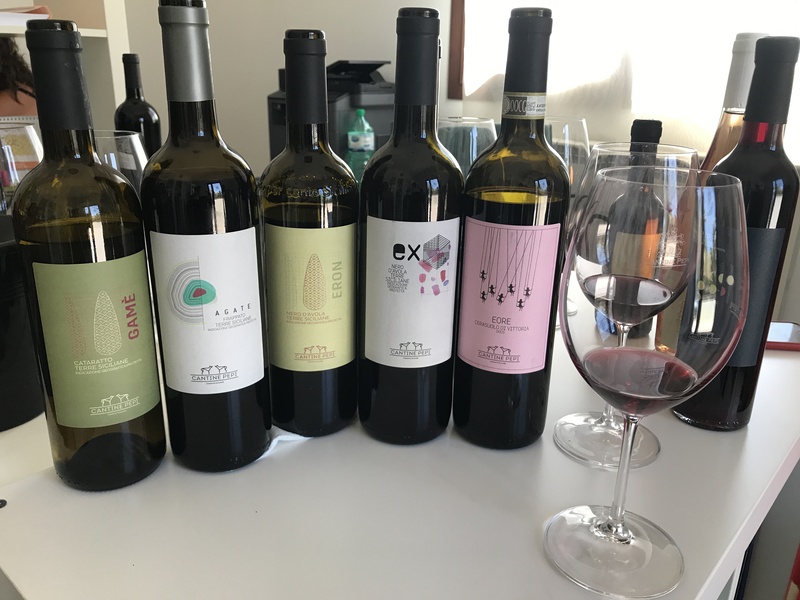 Cantine Pepi likes to say that ”we are 99% woman enterprise” and “run by women that boldly undertake the profession of the winemaker in Sicily”. The wines of Rosa Pepi and her daughter Erika come to life in Mazzarone, in the area of Licodia Eubea, in the hills along the Dirillo river. This is southeast Sicily near Ragusa and Vittoria. For four generations the family history has revolved around wine, perfecting in time all the phases such as: the commercial side, bottling, distribution and since 2000, they have produced bottles which express the talent of these lands, loved as much as one can love a son. The soils have a medium texture; the main structure is limestone to which clay and sand are added. Every one of these elements has an important role. The calcareous structure, allows, thanks to its permeability a good air flow around the roots; the clay retains the rainwater and the nutritious substances, slowly releasing them; the sand gives solidity to the soil. The vines are not irrigated, but receive only the water that falls from the sky, and the harvest is done by hand.. This choice is done to respect the leaves of the vine and allows the selection of the best grapes of the year, bunch by bunch, leading the winemaking in the right direction. Harvesting by hand even has the advantage of training the personnel in the field. 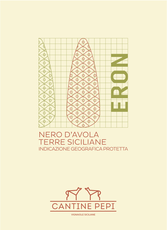 Nero d'Avola is the most widely planted and best known grape in Sicily. Eron: The word "Eron" comes from the Greek name eron which means lover. Love and passion sublimate the essence of this wine. Origin: hills around Licodia Eubea, in the far south-eastern part of Sicily . Winemaking: rasping in stainless steel container tanks followed by fermentation and maceration for 8/10 days and Malolactic fermentation in stainless steel. Aroma : aroma of red fruit and spices. Taste: smoothness, roundness and a slightly tannic structure, giving sapidity and final sensation of balance. This is the most widely planted white grape in Sicily. 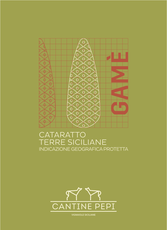 Game' - The etymology of the word comes from Arabic, "Gamè", and refers to "Agata", a rare precious stone originating in Eastern Sicily. Area of Production: Licodia Eubea . Winemaking: rasping with maceration for 6 hours, followed by a soft pressing.